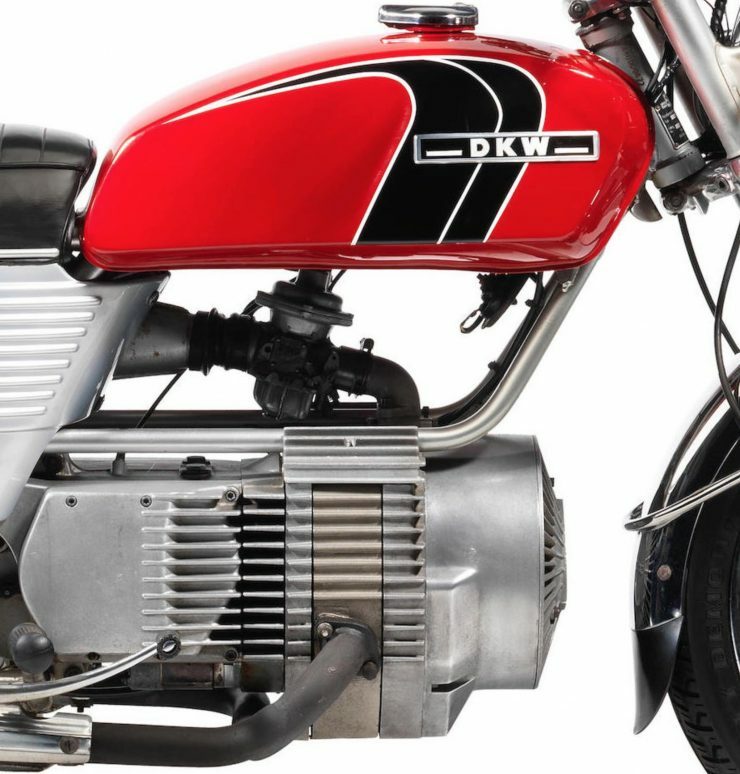 The DKW W2000 is a rotary-engined motorcycle that was sold under the name “Hercules W-2000” in all world markets outside the United Kingdom – it was the first rotary motorcycle (in full production) in the world and its engine would go on to form the basis of the Norton rotary-engined motorcycles that would be produced well into the early 1990s. 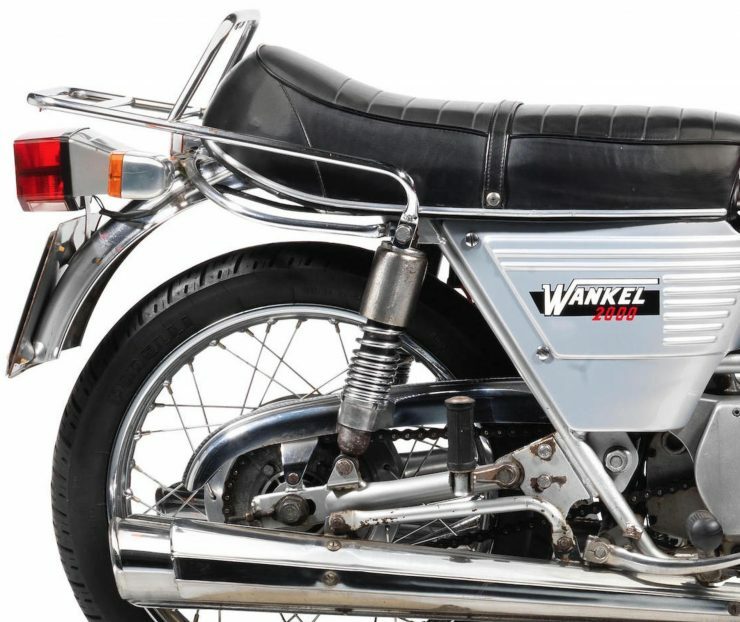 In the 1960s the Wankel rotary engine must have seemed like it was poised to take over the world. The emissions concerns that would help sink the design decades later weren’t even a consideration at the time, and the promise of the Wankel concept seemed almost unbeatable. For those unfamiliar with the internal workings of a rotary engine there’s a video below which is the best basic introduction I’ve seen, although you will need to mute it as the creator has added a stock electronic music clip to it that’ll have you stabbing pencils into your ears to make the sound stop. As you can see, the engine has as very few moving parts, no cams, valves, conrods, crank shaft, or other parts you’d find in a normal piston engine. 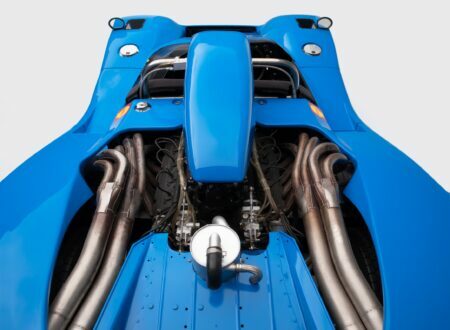 The advantages of a rotary engine are its light weight, high power to weight ratio, minimal vibration, a much lower possibility of catastrophic engine failure, cheap production costs, high-RPM operation, and and a smaller engine size resulting smaller engine bay requirements. 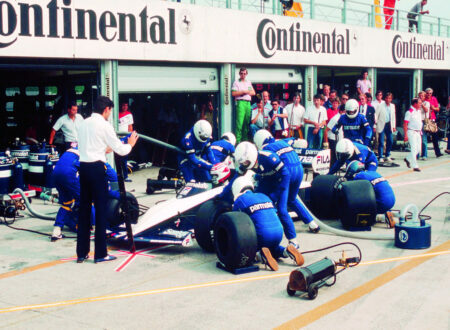 There are some downsides to the rotary engine too, namely, they consume quite a lot of fuel, they need oil added to the fuel in small amounts to lubricate the apex seals (bad for emissions), they produce lower torque figures, and apex seals can be prone to issues. There are other benefits and drawbacks of course, but this is just a basic outline for the sake of context. 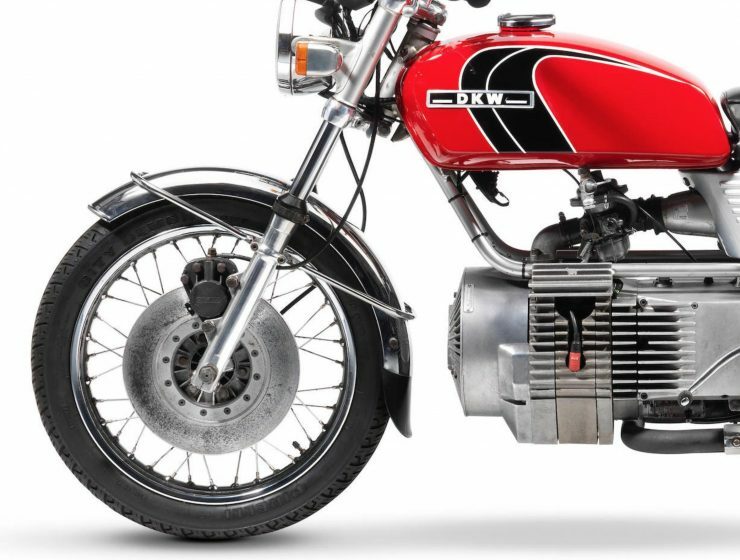 The DKW W2000 / Hercules W-2000 came about when the engineers at Fichtel & Sach (later known as (ZF Sachs AG or just “Sachs”) were tasked with seeing if it was possible to bolt a rotary snowmobile engine into a motorcycle frame. 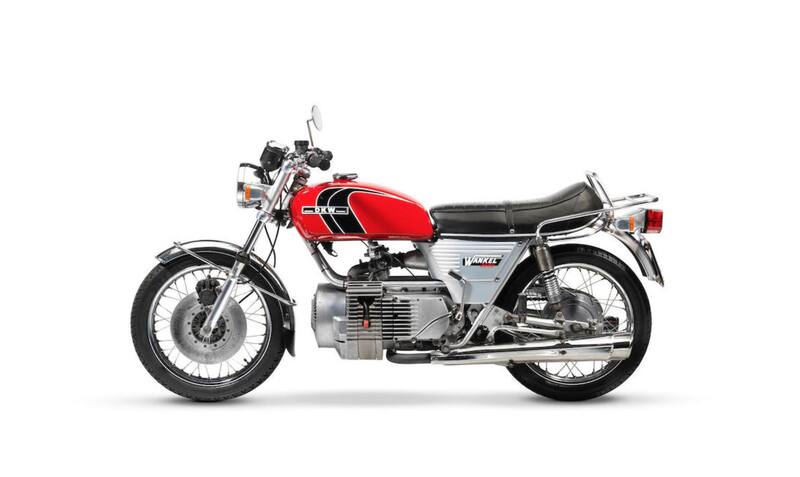 The company had been purchased by Fichtel & Sach in 1963, and it was decided to release this new rotary motorcycle under the Hercules name, except in the UK where the DKW name was used for reasons that are lost to history. 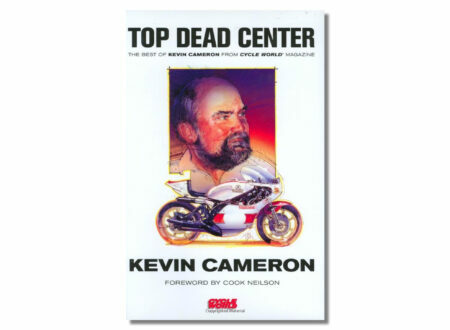 The engine is an air-cooled, single-rotor 294cc Wankel unit capable of 27 to 32 hp at 6500 rpm, and the power was sent to the 6-speed wet-clutch gearbox via a 90° bevel gear. 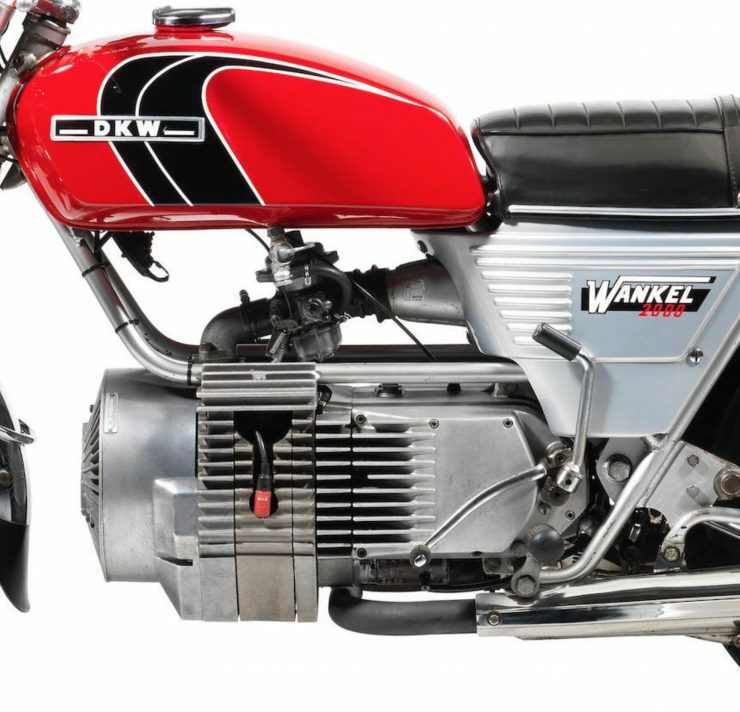 Although rare, Wankel engines are ideal for motorcycles as they’re almost entirely vibration free and they weigh far less than a comparable reciprocating internal combustion engine. 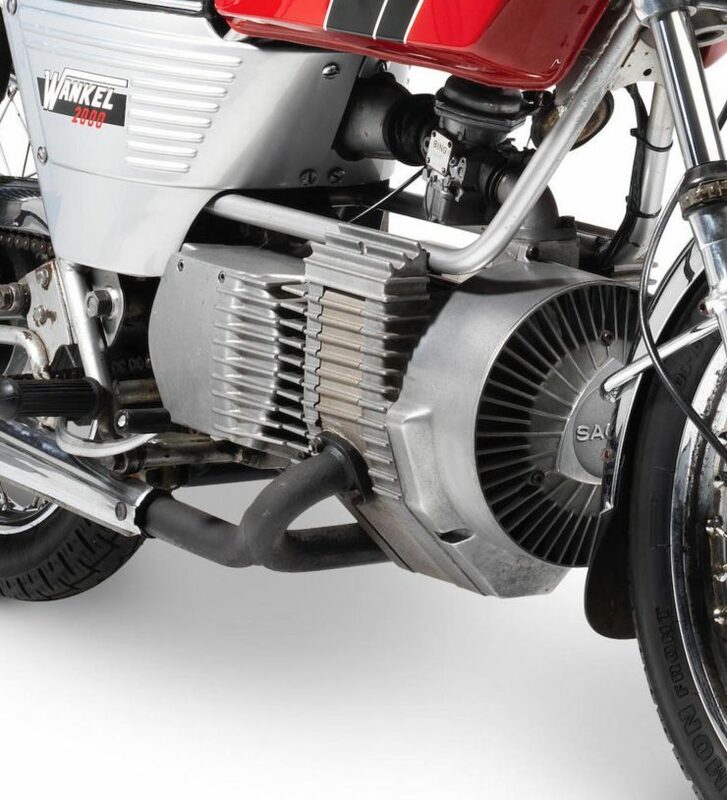 The prototype of the Hercules W-2000 was first shown at the German trade show Internationale Motorrad und Fahrrad-Ausstellung in 1970 where it garnered much interest from the general public – both for its unusual engine and its unique appearance. 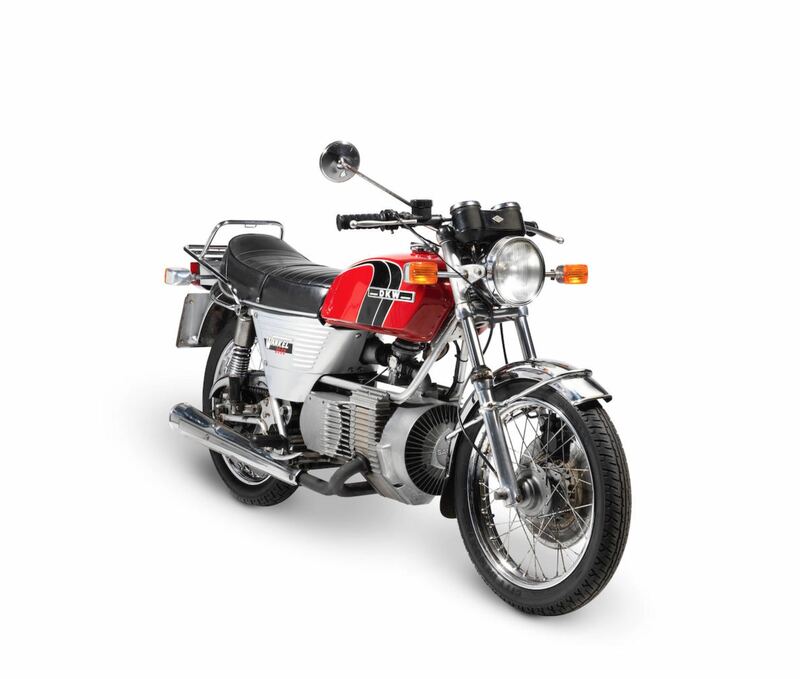 Production began in 1974 and ended in 1977, the production bike offered 40 mpg (US) and a top speed of 140 km/h (90 mph) with a dry weight of 173 kilograms. Sales weren’t particularly brisk, and period reviews were largely negative – but many of the bikes survived because most of the people who bought them were a little unusual, and they bought them because they loved the engineering rather than any specific positive attribute or magazine review. 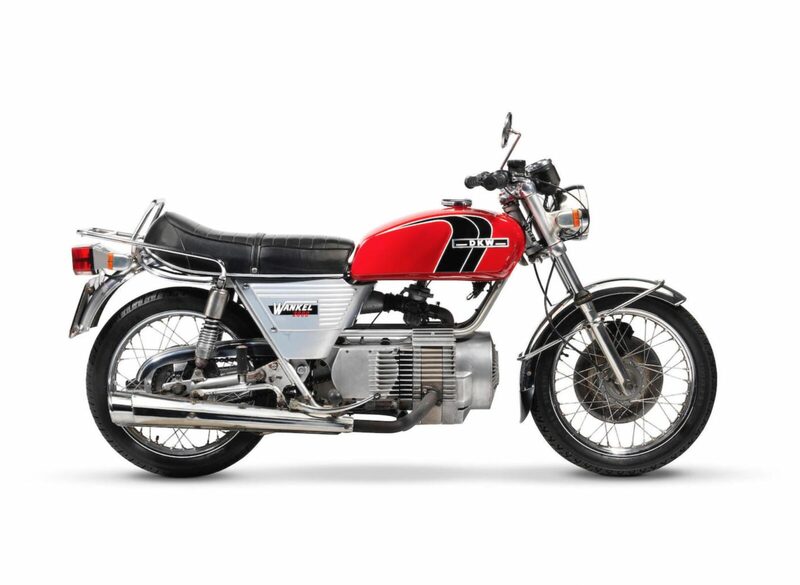 The Hercules W-2000 wouldn’t die in 1977 when production ended however – the tooling was bought by Norton who had been impressed by the mule rotary motorcycle developed by David Garside using a BSA B25 ‘Starfire’ frame. 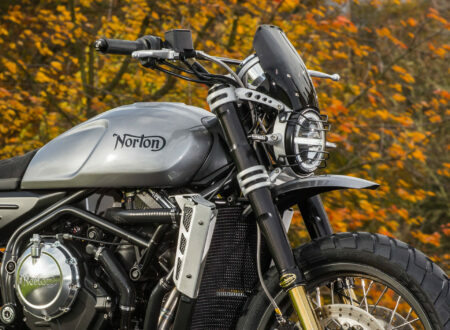 Norton produced a number of low-volume rotary motorcycles and a series of very successful racing motorcycles including the Norton RCW588 – which won the 1992 Isle of Man Senior TT and the 1994 British Superbike Championship, a final vindication for those German engineers all the way back in the late 1960s. 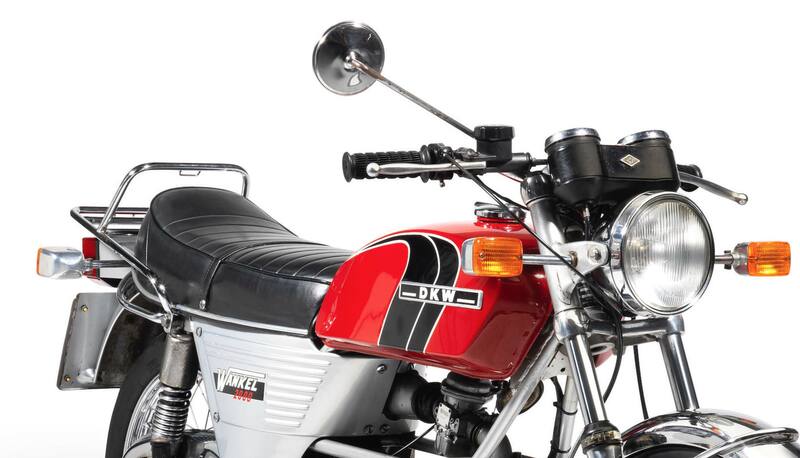 The 1978 DKW W2000 you see here is wearing its original black on red paint work and is ready to ride away. 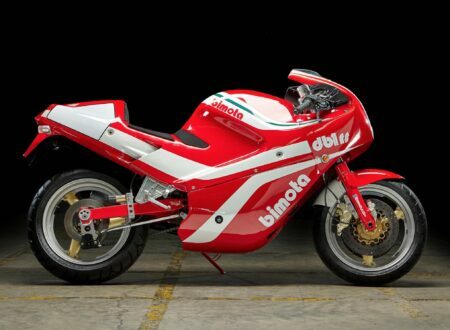 The estimated hammer price is £3,500 to £4,500, which actually seems rather affordable for an interesting piece of history like this – and I guarantee that this bike could be parked at literally any motorcycle gathering in the world and draw a crowd. 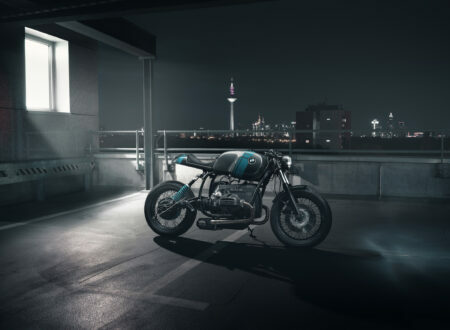 If you’d like to read more about this DKW or register to bid you can click here to visit the listing on Bonhams.